A central pillar of our strategic plan is to foster excellence in teaching and learning through implementation of cutting-edge pedagogical practices and support of academic initiatives that enrich multidisciplinary research and education. Today I am pleased to announce that this commitment will be exemplified in a magnificent, new, high-tech classroom facility known as the Anteater Learning Pavilion. Located between Steinhaus Hall and Humanities Hall, the structure will serve our rapidly growing student population and encourage a culture of collaboration across campus. Its modern design will feature state-of-the-art lecture halls, informal conference rooms, and flexible work and study spaces – all equipped with an array of audiovisual components and the latest technological advances to seamlessly promote active and participatory learning. Students and faculty will be able to better use computers, tablets, multimedia and digital tools to easily share information and engage with one another. 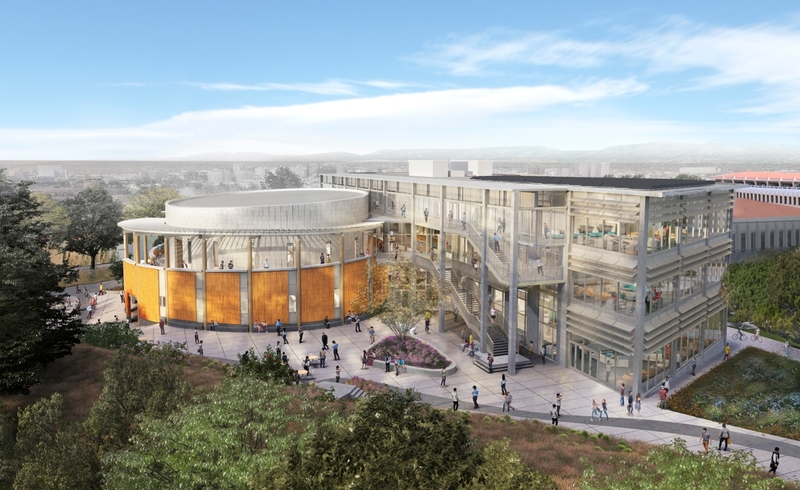 You can read more about the Anteater Learning Pavilion in the press release here. The building is expected to be ready for use by spring 2018. This project has been a long-held vision of many individuals on campus and in the community, and I would like to extend my personal appreciation to Michael Dennin, vice provost for teaching and learning, and Brian Pratt, assistant vice chancellor and campus architect, who have been instrumental in furthering its physical manifestation. Please join me in celebrating this important milestone that will undoubtedly enhance the educational experience of Anteaters for decades to come.